Our Surveillance Society: What Orwell And Kafka Might Say Revelations that the federal government is collecting massive amounts of data about telephone calls and Internet traffic has some people nervous that George Orwell's vision of Big Brother constantly watching them has come true. President Obama says he's not Big Brother. The author who created the concept might disagree. Addressing the controversy over widespread government surveillance of telephone records and Internet traffic Friday, Obama said, "In the abstract, you can complain about Big Brother and how this is a potential program run amok, but when you actually look at the details, then I think we've struck the right balance." But for many commentators, revelations this week that the federal government is sweeping up records of communications and transactions between millions of Americans sounds uncomfortably like the vision of the British novelist and journalist George Orwell. In his novel Nineteen Eighty-Four, British author George Orwell warned of the dangers of bureaucratic power run amok — but he also recognized that the protection of the state, while intrusive, is necessary. His novel Nineteen Eighty-Four portrayed a society in which the state constantly tracks the movements and thoughts of individuals. Its slogan is "Big Brother Is Watching You." "Throwing out such a broad net of surveillance is exactly the kind of threat Orwell feared," says Michael Shelden, author of Orwell: The Authorized Biography. The phrases "Big Brother" and "Orwellian" have been commonplace in news coverage and social media this past week. Orwell's novel, a bestseller upon publication in the 1940s, has remained a classic because it seems to crystallize what life under totalitarian regimes looks like. Obama — and many others — insist that the U.S. is not living under such a regime. The government is not listening to everyone's telephone calls, Obama said on Friday, nor is it using the information to spy on innocent Americans. And, even in the tradition of prophetic literature that warns of the dangers of bureaucratic power run amok, there is an awareness that the protection of the state, while intrusive, is necessary. Although set in the future, Nineteen Eighty-Four was based on Orwell's observations of Stalinist Russia and Nazi Germany, as well as his own experiences as a broadcaster and colonial officer in the British Empire. "He was so good at picking up on trends that he picked up our whole future," says Shelden, who teaches English at Indiana State University. In particular, Shelden says, Orwell's time as a policeman serving in Burma showed him how governments seek to keep track of people and what they're up to — the more complete the file, the better. "What he saw was that over time, surveillance would become pervasive," Shelden says. "He just took that idea and expanded it in Nineteen Eighty-Four to basically a police state." 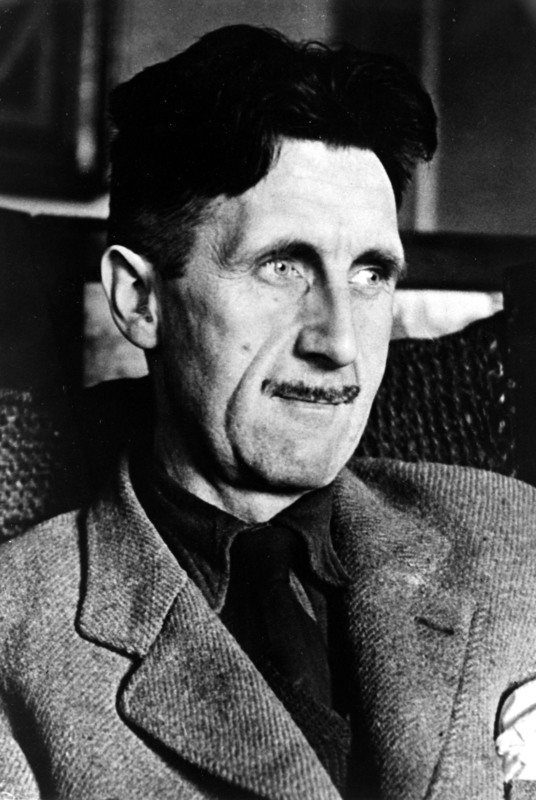 Although Orwell's ideas struck some as paranoid, the British government in 2007 opened up its file on the author. It turned out the spy agency MI5 had tracked him from 1929 until his death in 1950. Orwell certainly would have understood that officials would point to the unending threat of something like terrorism as a justification for ongoing, widespread surveillance. "He could see that war and defeating an enemy could be used as a reason for increasing political surveillance," Shelden says. "You were fighting a never-ending war that gave you a never-ending excuse for looking into people's lives." What would have surprised Orwell, he says, was not that governments are collecting huge amounts of data about individuals, but that private actors are as well. Even if it didn't turn out that the federal government has a direct pipeline into Verizon, Google, Yahoo and other such companies, those companies would control huge amounts of information about Americans on their own. It's not just the corporations performing surveillance. What Orwell calls the "proles" in his novel — the average citizens who help the state keep an eye on everybody — are also tracking and documenting each other's movements in real life these days. With the advent of smartphones and widespread surveillance cameras, no conversation or movement in the public sphere can be considered private. On Wednesday, a woman posted a picture of a man she said she'd sat near on a train, who'd been bragging with friends about affairs they'd had without their wives catching on. By Saturday morning, the image had been shared more than 170,000 times. Image collection by everybody can have its uses. The sharing of images of the Boston Marathon helped law enforcement quickly home in on the alleged perpetrators. 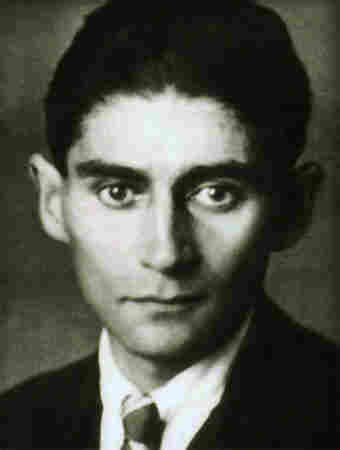 The mixed feelings people have about the balance between privacy and security would have been familiar to Franz Kafka, the famed 20th century author of novels and stories about bureaucracies that are out of touch and out of control. There are many elements of the current situation that are Kafkaesque, says Stanley Corngold, an emeritus professor of German and comparative literature at Princeton University. Kafka raises questions not only about governments collecting massive amounts of information "like a giant vacuum cleaner," Corngold says, but what they do with it. In Kafka's novel The Castle, the authorities can't find the document that would determine whether the person who's been brought in is wanted, or not. "They have piles and piles and piles of documents, but they don't do anything with them," says Corngold, a Kafka translator and scholar. But though Kafka is remembered for creating situations in which characters helplessly seek to appeal judgments when they're not even sure what the charges are, he also recognized that the people are often, in fact, guilty. "Kafka has the uncanny ability to see the point of view of both parties," Corngold says. 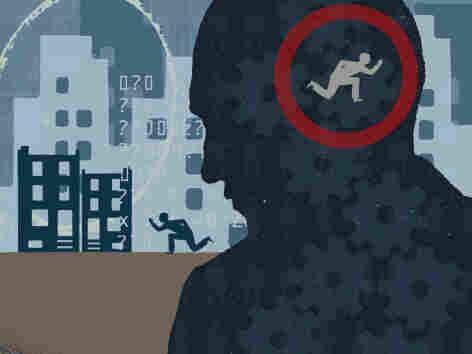 In stories such as "The Great Wall of China," Kafka recognized that people look to the state to protect them from "barbarians," recognizing that they're not capable of fending off outside threats on their own. "At times, he mocks the illusion of an effective, centralized authority," Corngold says. "At other times, he suggests that without its aid, we cannot cope with the 'barbarians.'"